Bunk beds are one the oldest yet the most popular furniture among kids room as well as for adults room where we are suffering from cramped spaces. After all a bunk bed is a type of bed in which one bed frame is stacked on top of another. Because of bunk beds nature it allows two or more people to sleep in the same room while maximizing available floor space for other activities as well. They work equally well with kids room as well as in adults room. 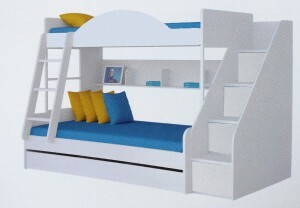 But here we will just discuss about the kids room bunk beds, their styling, advantages, types etc. After all when it comes to styling and good utilization of space why kids or kids room should compromise. 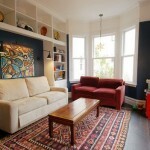 They too have the right to enjoy a good lifestyle and awesome design styling for their rooms. Earlier times bunk or bunker beds use to in old-fashioned wooden cots stacked one on top of another, or maybe that army-style metal frame styling. But these days definition of bunk bed styling has drastically changed. These days bunk beds for kids room comes in a variety of shapes and configurations, styles and types, colors, designs, materials and patterns. You can opt upon the one according to your kid’s room size, preferences, requirement and design settings. To get the best one fitted for your kid’s room you need to know about all the types of bunker beds. Twin over twin bunker bed: These are referred to as standard bunk beds. 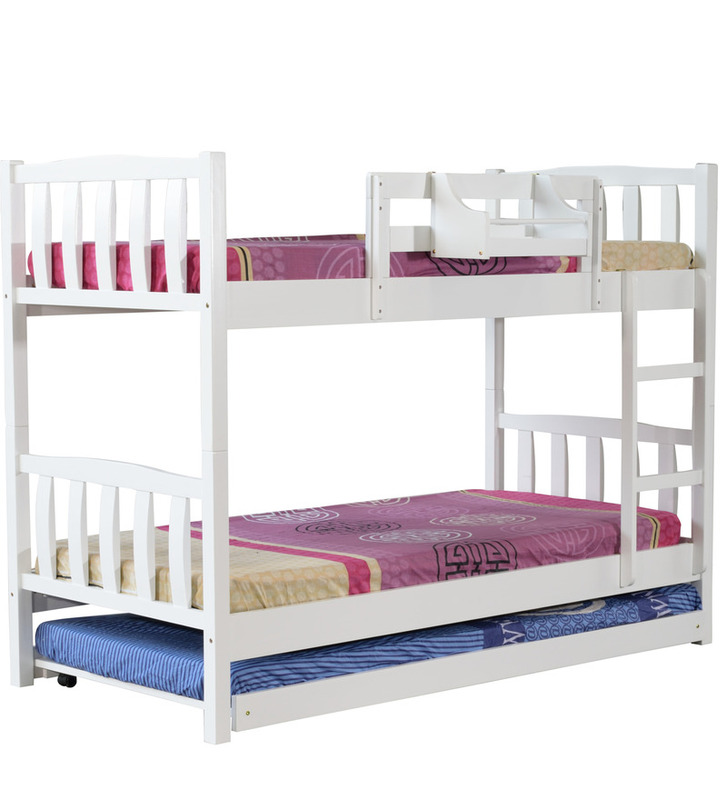 As the name says, a twin over twin bunk bed is made of two twin size (39” x 75”) beds stacked on top of one another. It is basically useful to accommodate two children of approximately same age. 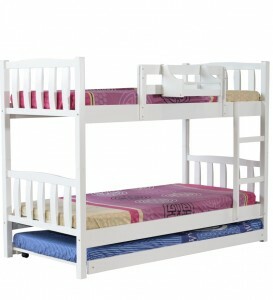 Twin over full bunk bed: It is a full-sized bed (54” x 75”) topped by a twin-sized one makes a twin over full bunk bed. 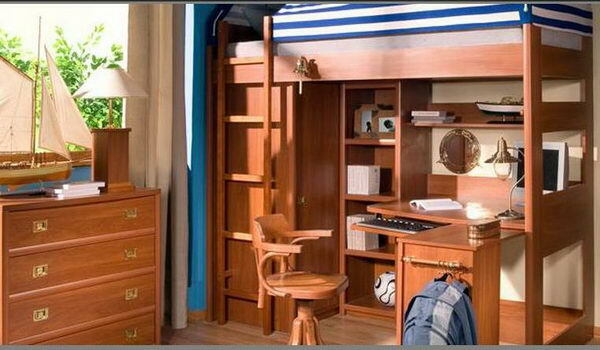 The extra space on the bottom bunk can be utilized for the growing teenager or the grown up teen child. 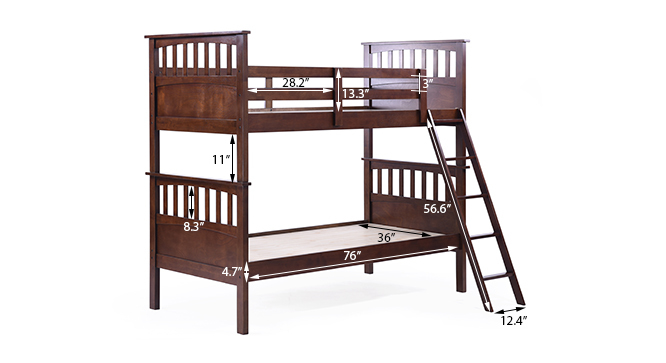 Full over full bunk beds: This configuration is perfect when you need to fit two large or say full grown up children in the same room — in this case full sized (54” x 75”) — beds into a smaller room. 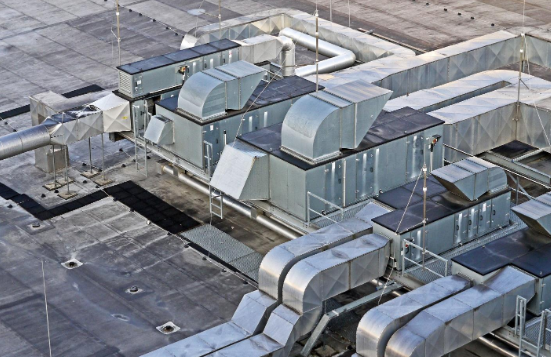 It can accommodate pair of full grown twin sisters or twin brothers. Loft bunk beds: A loft bunk bed is a bed elevated to a certain height, with free space underneath which can be used for play, storage, as a study area, or, as is often the case, for another bed. This is very useful in case of accommodating a study center for the child right there. So, as you know the main types of bunk beds it would be easily for you to select the most appropriate one for your child’s room according to the basic, personal and design requirements. Let me make it easier for you to stick on your decision. 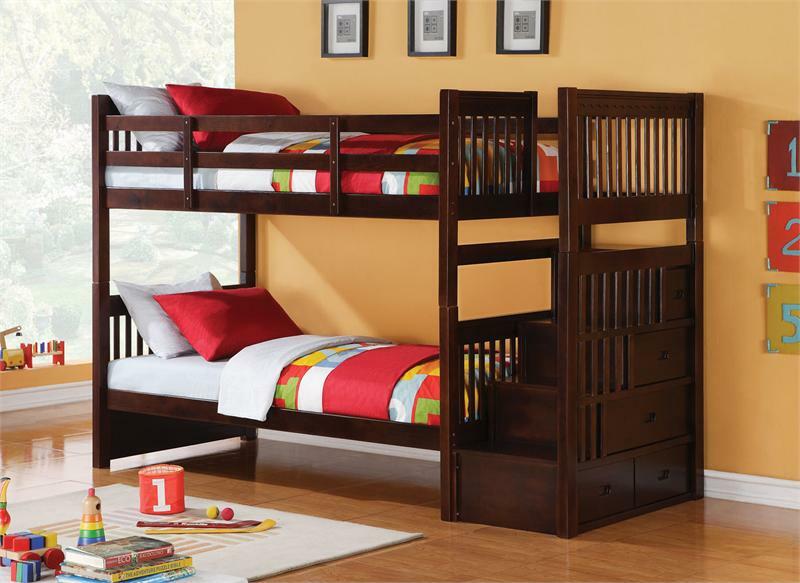 Bunk beds have come a long way in terms of style and the varied designs can appeal to any child and his childhood. They are not just space saving element but they play a very vital happy role in every child’s life. They do allow you to decorate and design it according to your child’s likes and dislikes. You have the option to put in major space under good utilization by accommodating two children in the same room , by placing a study or play unit under loft bunker bed, by even putting four children under one roof. 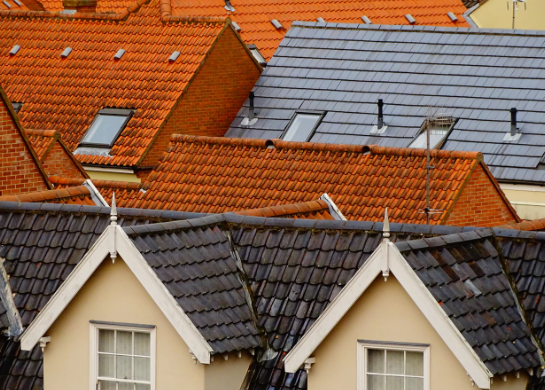 They save on to your budgets, space and extra designing expenses. Last but not the least they are perfectly suitable from child to adult according to the variation in bunk bed sizes. 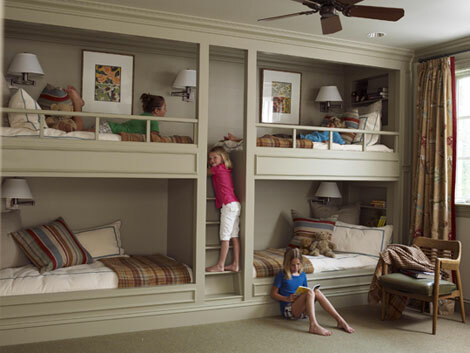 Bunk beds have their own unique and special space in every kid’s room if being placed. They fill in childhood memories with lots of fun, happiness and colors. So, time to save some space, give a stylish designer look to kids room and fill their childhood with happy and blossom memories.